OBI Foundation for Bioesthetic Dentistry has had a long-term relationship with Dr. Masatoshi Araya of Japan. Dr. Araya has honorably completed our entire curriculum of bioesthetic dentistry; a most rigorous and demanding course of study involving hands-on training and successful treatments of patients from his own dental practice. During his many trips to the United States (Level I, one trip; Level II, two trips; Level III, four trips and Level IV, eight trips plus several other trips after his graduation) Dr. Araya has attained a very high level of understanding of the theory and practice of bioesthetic dentistry. 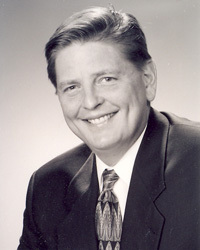 His accomplishments include graduation from Level II (Orognathic Diagnosis and Mandibular Stabilization) in 1999 in Salem, Oregon, graduation from Level III (Comprehensive Orognathic Bioesthetic Rehabilitation) in 2000, in San Francisco, California and graduation from Level IV (Complete Orognathic Bioesthetic Rehabilitation) in 2003 in Portland, Oregon. Bioesthetic dentistry is predicated on the biologic discoveries of the late Dr. Robert Lee, the founder of bioesthetic dentistry. What makes bioesthetic dentistry unique is that it is based on biologic principles that apply universally to patients of all ages and to all disciplines in dentistry. Bioesthetics brings to our patients the best of two worlds, esthetics, and function. Bioesthetics is not a technique, rather a philosophy of practice that puts the patient’s welfare first. The next leader of bioesthetic dentistry, Dr. Charles Wold, defined it as “An educational process that accepts biologic form as the basis for comprehensive oral diagnosis and treatment”. As the current President of OBI Foundation, I am very pleased that Dr. Araya has had the opportunity to know and work with both Dr. Lee, Dr. Wold and myself. I can think of no one more qualified and deserving to lead and promote the incredible health benefits of bioesthetic dentistry to Japan. As President of OBI Foundation for Bioesthetic Dentistry, I remain optimistic and committed to our mission, “to promote the biologic and health benefits of bioesthetic Dentistry worldwide through education, research and service to the dental profession and to the public”, and bestow that charge to Dr. Masatoshi Araya. Copyright © ARAYA DENTAL CLINIC All Rights Reserved.